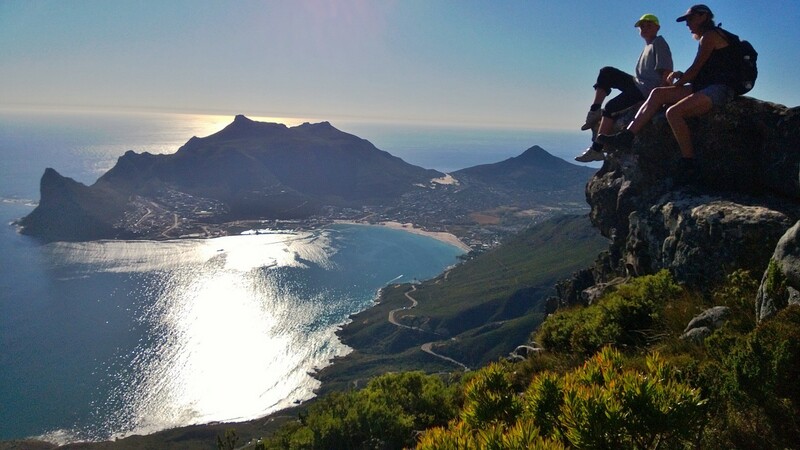 Warren, Tim and I spent the most wonderful couple of hours up at the Black Eagle nest site in Silvermine yesterday. I had heard from Lucia Rodrigues that there had been ‘nest prep’ activity on the go, so I was keen to check it out for myself. This is one energetic pair! Just three months ago they were encouraging their 2012 offspring to head off into the sunset and make its own way in the world….and here they were very proactively getting their heads and hearts around creating a new little eagle life. 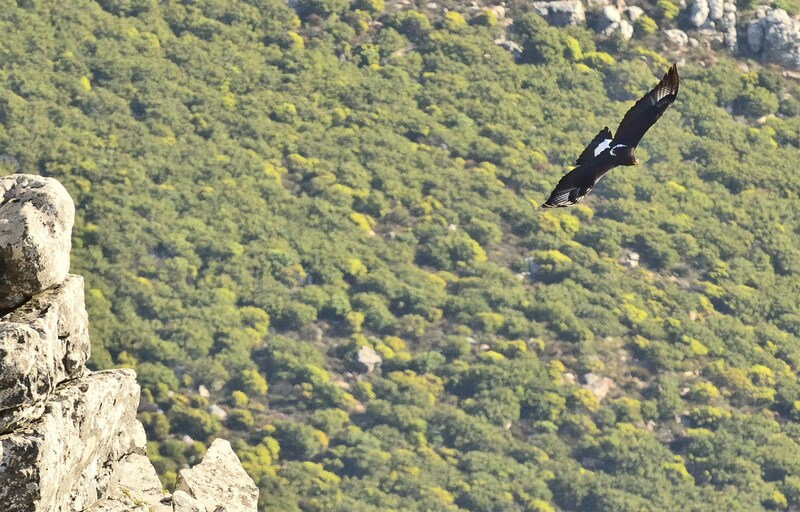 Within 10 minutes of sitting still on our precipitous rocky perch we were rewarded with our first sighting – on exquisitely silent, powerful wings, the female cruised past us, tucked her wings back and ducked into her nest below. The male followed a little while later. They then did several spectacular, very close aerobatic fly pasts, turning their heads to watch us each time. They moved between the nest and a cliff ledge to the far right of us. The female gathered twigs and bits of greenery in her beak and took it to her nest where she then spent time stomping, arranging and earnestly contemplating the layout. 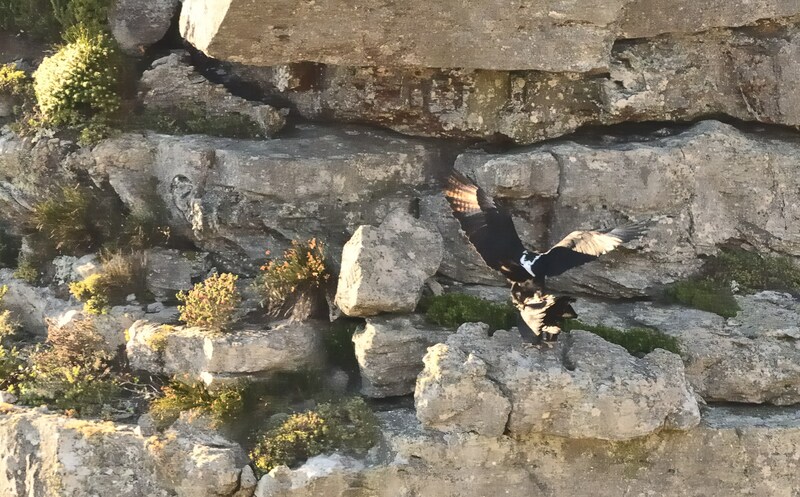 After a long flight together out of sight and off towards Noordhoek, they returned and we watched them land on the same ledge….hop towards one another and start to mate! We left the mountain well after 6 in the evening as the tops of the mountain began to turn pink and the warm pockets of air started to take on the evening chill. The whole way down we kept exclaiming how lucky we were and how rare a thing we had just been privy to. It really was quite something. We’ll be watching these extraordinary animals in the coming months with great interest.